You are are probably already familiar with some of Sweden's tech superstars - Spotify, Skype and King to name a few but Sweden and its creative agencies have long been creating hugely successful brands. There has been lots written on the startup scene in Sweden and many ideas on why it seems to be churning out exciting startups. Most suggestions come down to the effect of talent and mindset trickling down from the big success stories, early infrastructure investment, openness to adopting new technologies and the general availability of funding, mentors and the ecosystems to support startups. Whilst startups tend to attract the most attention, Sweden has fostered some remarkable well established brands that have helped shape and set the scene long ago. IKEA, Volvo and Electrolux are all household names that you will likely be familiar with but perhaps some that you might not even think about: it's a good bet that an ABB robot helped assemble your car, a DeLavalrobot helped get your morning milk and you will lock your door on the way to work with an Assa Abloylock. You will likely be checking your social media and using apps that rely upon decades of Ericsson innovation somewhere in the technology stack. How do the larger well-established companies stay fresh and top of their game even in niche segments ? A hugely important part Sweden's biggest exports are the agencies that help build and shape them. Important to consider is that Sweden itself is a big country with not many people - somewhere in the 9 million band. This has an implication on everything - foremost that working and thinking globally is a must. The agencies are using creativity coupled with design and social sensibilities to take their companies global. How does the the car company from Sweden with less than 1% market share in the US manage to get a free ride on one of years biggest US events? Up against big budgets and being the outsider brand, Volvo ingeniously worked social media together with the agency Grey. IKEA together with the agency Åkestam Holst decided to do something quite different and create a campaign around “Where life happens” - showing IKEA in the context of real-life every day situations that everyone can relate to. A simple idea that really stands-out in the more "shiny side up" content we are more used to seeing in ads. Sweden has one of the highest amounts single households so Renault Sweden and Edelman Deportivodecided to make something of it. Renault Sweden equipped their new Mégane car with a sensor to monitor the sentiment of voices in the car. The sentiment effected how the car would accelerate - any unhappy sentiment and the car would slow down. It's fascinating to watch and perfectly compliments Renault “Passion for Life” message - the occupants are rewarded for happy and friendly exchanges. So what does this mean for Divio ? Divio makes creating and running highly scalable professional websites easier - your websites on autopilot. Agencies can focus their efforts on building great content and not worry about the underlying technology or keeping everything up and running. We think it makes sense to be both part of the Sweden startup loop and also be there for the agencies who are constantly coming up with innovative new ways to grow their brands - if the next big superstar is about to take-off or an ingenious campaign takes over the Internet, we believe keeping everything running smoothly should be taken for granted. 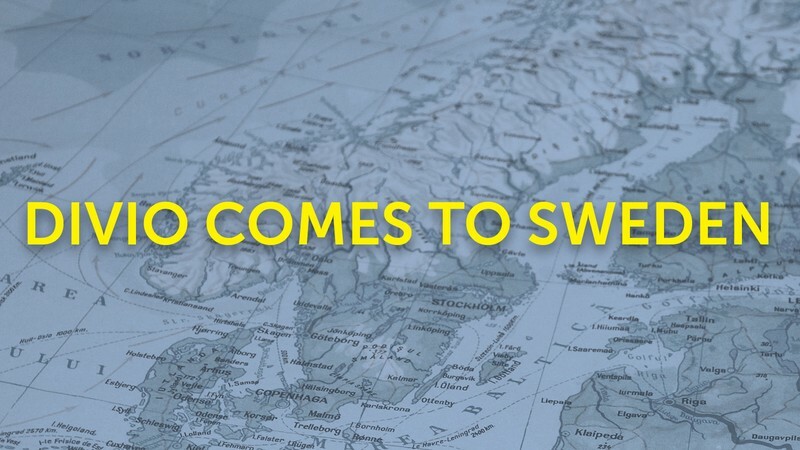 Look out for Divio at events around in Sweden and be sure to join our partner programme so we can start connecting you with the right people and companies. If you are curious about what Divio can do for you, then welcome in and create a free account to get a feel for it!